Estuarine Variability illustrates particular aspects of research related to estuarine variability. 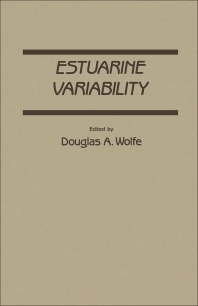 This book discusses geographic variability, temporal variability, process variability, spatial variability, and modeling of estuarine variability. Examples around the globe that illustrate the sources and nature of variability exhibited by estuarine systems are also described in detail. This compilation emphasizes various approaches that capture important aspects of spatial and temporal variability in models that can guide estuarine management decisions and focus further research. The differences that appear at various times within estuaries, or that exist among estuaries at any given time are likewise considered. This text is suitable for researchers and specialists conducting work in the field of estuarine research. A Model of Carbon Flow in the Spartina Anglica Marshes of the Severn Estuary, U.K.